#GOOPEN BLOG POST: The U.S. Department of Education published a blog post highlighting the momentum behind the #GoOpen movement, and its interest in collaborating with civil society organizations moving forward. #GoOpen is more than just a hashtag and we look forward to seeing its successes continue with support from the community. HAPPY BIRTHDAY OTN: The Open Textbook Network recently celebrated its 5th birthday! There’s a lot to celebrate at the OTN, including the Open Textbook Library being visited an average of 65,000 times per month and the library celebrating its 1,000th textbook review. On behalf of the OER Digest team, happy birthday OTN! MORE SAVINGS AT OU: The University of Oklahoma Libraries just announced their fourth year of the Alternative Textbook grant. This year 18 full-time faculty members have received grants to adopt an OER for their course. Students at OU are projected to save an additional $116,000 in a single semester! COLORADO OER COUNCIL: Colorado has passed S.B. 258, a bill which is set to create an OER Council the in the Department of Higher Education. The Department will evaluate the existing use of OER by public institutions of higher education and consider the options for and obstacles to increasing the use of OER. PEER REVIEW: The Rebus Community recently formed a working group to assess and develop clear, transparent and effective standards for peer review in Open Textbooks. Following the group’s first call, Rebus is now looking for collaborators to join one of five groups that will explore different topic areas including different types of review over the life of a textbook, how to communicate the types of review a textbook has undergone and develop inga system to recognize the contributions of reviewers. ECAMPUS ONTARIO LAUNCH: eCampus Ontario will be launching their Open Textbook Library in June! Working in partnership with BCcampus, the new library will offer Ontario post-secondary students access to a repository of over 180 OER. OPENCON 2017: The annual student and early career professional conference, OpenCon will be taking place November 11-13 in Berlin, Germany. Applications open June 27th! EVENT: Education Week will be hosting a webinar today at 1pm EDT entitled Powering Student Engagement With a Successful OER Strategy. Click here to register. JOB: The San Diego Community College District is looking for an Assistant Professor, Collection Development / Open Educational Resource Librarian. See the job description here. AUTHOR’S NOTE (ES): As you may have heard, Digest co-author Katie Steen (USPIRG) is moving onto a summer campaign for the next few months and will be away from her email, so I’m temporarily returning to the Digest team to help Brady Yano (SPARC) bring you consistent updates from the OER field. 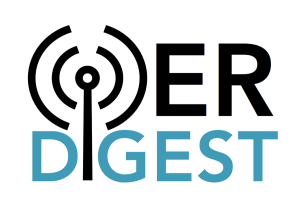 I’m thrilled to come back and see how much the Digest community has grown, and I look forward to sharing your updates and ideas. REPORTING BACK: This past week saw a ton of OER and open advocates in Toronto, Canada, for the Creative Commons Global Summit. More than 400 practitioners, lawyers, and advocates gathered to discuss the direction of the CC network and licenses. Two major updates – the release of Made with CC, Creative Commons’ kickstarter-funded book on open business models around the world that will be available to the public on May 5th at https://creativecommons.org/made-with-cc/, and the release of the 2016 State of the Commons report, which shows over 1.2 billion CC-licensed works at https://stateof.creativecommons.org/. STATE LEG UPDATE: A Texas bill (SB810) creating a $200,000 state OER grant program, establishing protocols for “OER course designations” in course catalogs, and ordering a statewide feasibility study has passed the Senate and moved to the House there. In Washington state, the Governor signed legislation (SB5449) that included a provision to “to identify and develop additional open educational resources to support digital citizenship, media literacy, and internet safety in schools. PEARSON’S PARTNERSHIP: Publishing giant Pearson announced a partnership with indiCo, a subsidiary of the National Association of College Stores (NACS), to list their digital “rental-only” textbooks in over 1,500 campus bookstores. All of the titles will be rentable for less than $100. CAMPUS ACTION: University of Arkansas, Fayetteville recently announced that five of their faculty are set to receive up to $33,000 as part of a new grant program encouraging faculty to use OER. The first set of UA grants have been awarded to faculty teaching introductory or core classes and are expected to impact more than 1,000 students. Houston Community College also announced that they’ve received a $300,000 grant to develop a Z-Degree, or zero-textbook cost degree, in Business Administration and General Studies. They plan to pilot it with 100 students starting this fall. EVENT: The Rebus Community will be hosting their June Office Hour event on June 5th at 3 EDT/ 12 PDT. The topic of the call will be Accessibility in Open Textbooks. RSVP here.